This is often the initial frustration our development volunteers experience with their holistic efforts to help the Kaonde overcome poverty. Actually, it is a good place to come to as the understanding of change agents must be deeper than just resources and information. I used to experience this in the Inner City church plants with starving drug addicts. I could give them a dollar for food and tell them which shops had the best prices, but I just ended up buying that addict more drugs. Syncretism is the adoption of “Christian” forms without the transformation of the inner man. This has been the norm here among the Kaonde for over 100 years. Their loyalty is to the ancestors, but most everyone “goes to church” on Sunday. Thus witchcraft, fatalism, and ignorance robs these people of their ability to steward God’s gifts. Transformation seeks to address the conversion and the sanctification of the inner person so that resources and information can be used responsibly. This is a process that takes time, but there are no short-cuts. 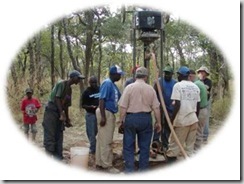 This year, after three years of trying different holistic poverty alleviating techniques, some of our development volunteers are beginning to see some light at the end of the tunnel. As church planting – from the beginnings of our work - has challenged the way people are in their inner person, responsible uses of resources and information are now emerging. And our campaigners are now able to see the beginning fruits of their labors. One of the most exciting things from this year’s campaigns has been the beginning of a discussion by our campaigners on how to involve many volunteers in the transformational teaching process that must proceed responsible stewardship of development initiatives. As this conversation unfolds, I hope to write more “Journeys” about it. As usual, Christ is WAY OUT IN FRONT of us. His sermon on the mount demonstrates this transformational teaching process as He moves from the inner person principles of the beatitudes to the practical behavior applications later in His sermon. 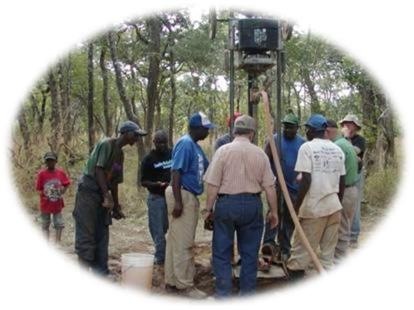 Pictured: Well Drilling volunteers discovering sustainable clean water systems to be stewarded by trustworthy brethren who are beginning to see Jesus as the creator and Lord of their water. Previously, the members of this church gathered their water from an open seepage pit where the cows and goats were watered. The resulting constant disease robbed the brethren of their ability to study and understand the Word, let alone participate in the evangelism of others. Now they are doing both!